Summer is finally here! Although I look out of my window and its raining, we have had some lovely summer days so far and hopefully plenty more to come. But wether rain for shine this summer why not make sure that your days are brighter by getting yourself some Jelly Belly Fruit Mix Flavoured Jelly Beans. 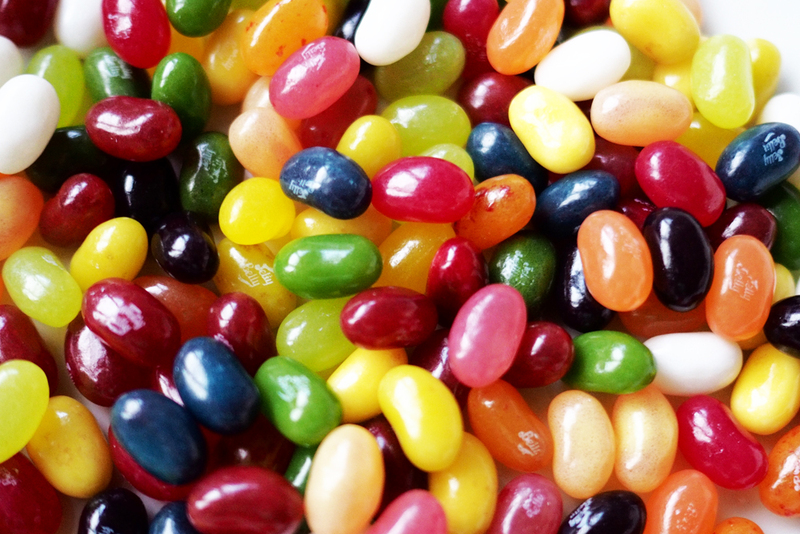 Jelly Beans are my favourite and Im celebrating summer with Jelly Belly and eating these yummy fruit mixed flavoured beans. Jelly Belly sent me some in the post last week and they have definetly made my summer more fruitful. 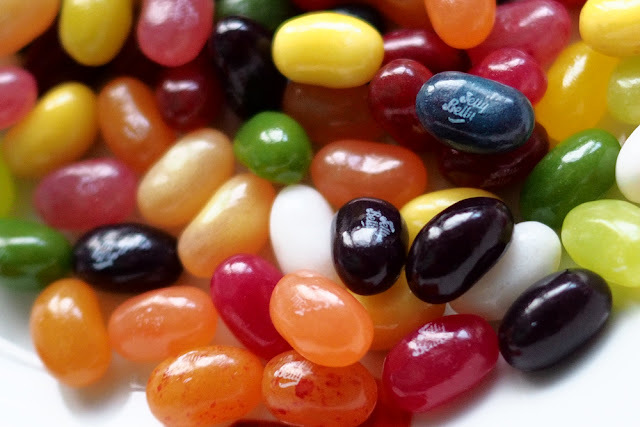 This mixture of jelly beans are exactly what they say on the packet, a nice mix of fruity flavours. What more could you want for summer time? The 200g pack contains a mixture of 15 different flavours which are Blueberry, Coconut, Grape, Juicy Pear, Lemon, Lemon and Lime, Peach, Pink Grapefruit, Pomegranate, Raspberry, Red Apple, Tangerine, Top Banana, Very Cherry and Watermelon. I really can't decided my favourite flavour. Pomegranate was very nice but so was Grape, and so was Very Cherry and Red Apple! I did have a favourite flavour combination though which was Watermelon and Peach. They tasted really nice toggether. The great thing about Jelly Belly is that you can mix your flavours toggether. Its almost like making a a nice fruit smoothie. I find that Jelly Belly Beans are so addictive and I can't stop eating them. Although you get loads in a 200g pack, they were gone with in the 24 hours. So if you want a taste of summer then head to the Jelly Belly Website now and buy a pack of these which are only a bargain price of £5.40. Celebrate summer with us by entering this brilliant competition below. You can enter over on Facebook and twitter and there will be 2 winners that each receive a pack of Fruit Mix Jelly Beans. Head to my FACEBOOK to enter. Simply like the post and leave me a comment!! Page likes and shares are always appreciated and that means that you can always see when I have a new competition on the go. Head to my TWITTER to enter. Simply Follow and RT and Leave me a comment. Ends Friday the 21st of July at 9am! Sound Great, I do love fruit flavours. Please consider allowing Competition entry via e-mail, blog comment, etc. I love Jelly Beans. My favourite are Licorice.